Aviation Safety Network (ASN) database in its preliminary report stated that there were no passengers in the aircraft but recorded that the co-pilot and two police officials standing on the ground died of fatal injuries, and the four injured are now receiving treatment at Kathmandu's Grande Hospital. The aircraft had collided with a parked chopper at the airport. At least four persons including Manang Air Pilot CB Gurung have been also been injured in the crash, the report added. "We are not sure about the cause of the accident". 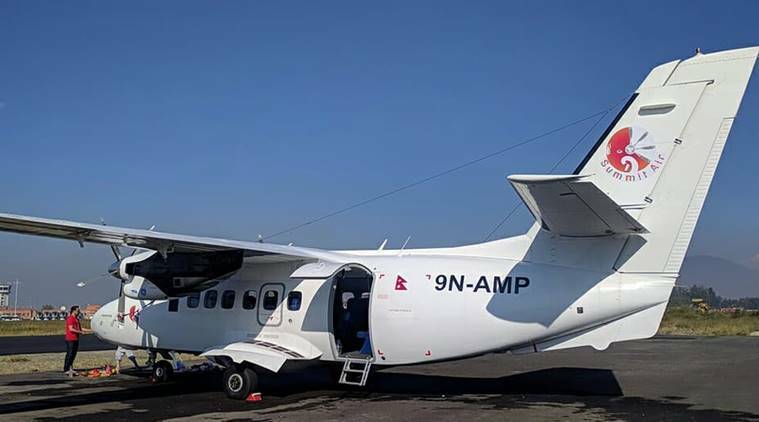 According to Himalayan Times, the Summit Air plane was taking off for Kathmandu from the Lukla airport in the district. It is often referred to as one of the most hard and unsafe airports in the world because of a short runway (527 metres) and challenging terrain.